World Heritage marine sites are only as effective as their compliance programs, and marine protected areas around the world struggle to combat illegal fishing. With limited resources available for surveillance and compliance, it is vital to have good systems in place to identify hotspots and track violations. In the four Marine World Heritage sites that make up Eastern Tropical Pacific Seascape—Ecuador’s Galapagos National Park, Columbia’s Malpelo Fauna and Flora, Costa Rica’s Cocos Islands National Park, and Panama’s Coiba National Park—the impacts of fishing extend well beyond each park’s borders. Many animals migrate between these World Heritage sites, so it is vital that species are protected throughout their lifecycles. 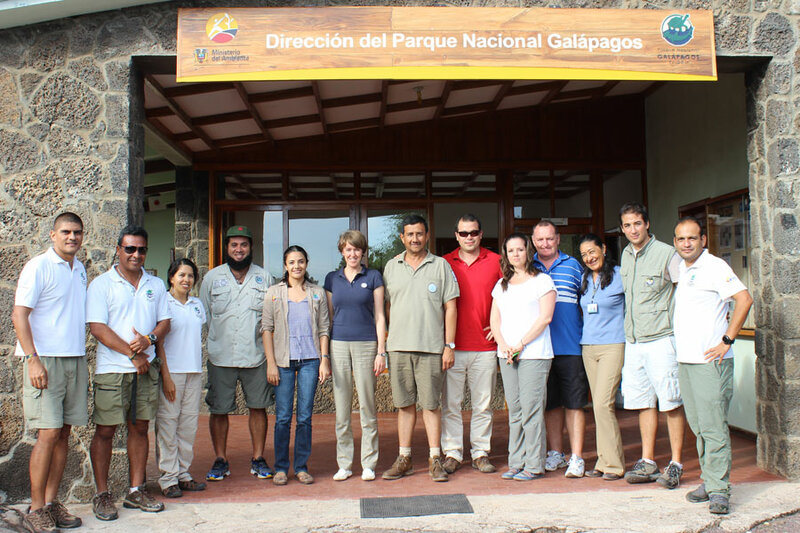 In July, the Marine World Heritage Programme convened a workshop on compliance at the Galapagos Islands, attended by site managers from the Galapagos National Parks, Malpelo Flora and Fauna, and Cocos Islands National Park. The goal was to share best practices, build the overall capacity of these sites to enforce the rules, and strengthen the sense of community among site managers. Entrusted with managing a 350,000 square kilometer site, the Great Barrier Reef Marine Park Authority has learned many lessons and developed some smart protocols for fisheries compliance over its forty-year history. That is why we invited Reg Parsons, former Head of Compliance Monitoring Intelligence Unit at Australia’s Great Barrier Reef Marine Park Authority, to head the workshop. Parsons and his team of compliance experts taught the group how to build an intelligence system that helps them target enforcement efforts. For example, sites can map hotspots of illegal activity, and focus their surveillance on those areas. 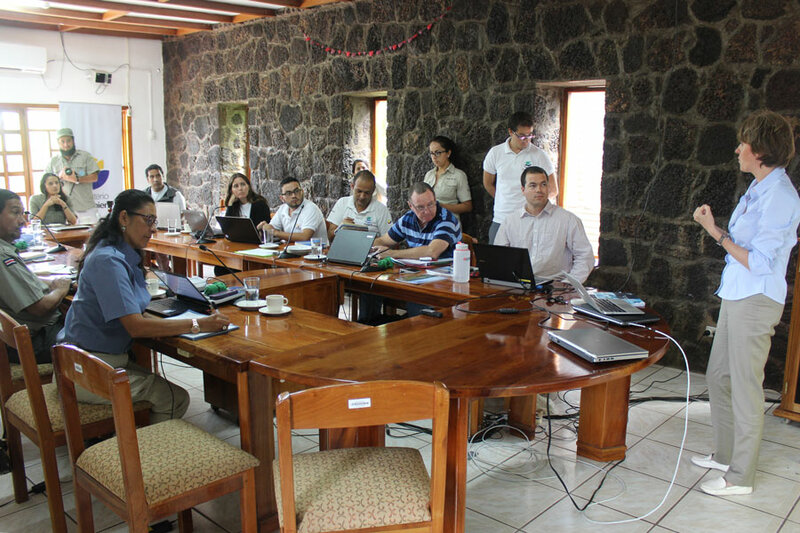 This workshop was part of an ongoing initiative of the World Heritage Marine Programme, with support of the UNESCO Flanders Funds-in-Trust, designed to leverage the experience and expertise of the World Heritage site managers, and establish a strong network across 47 sites in 35 countries.